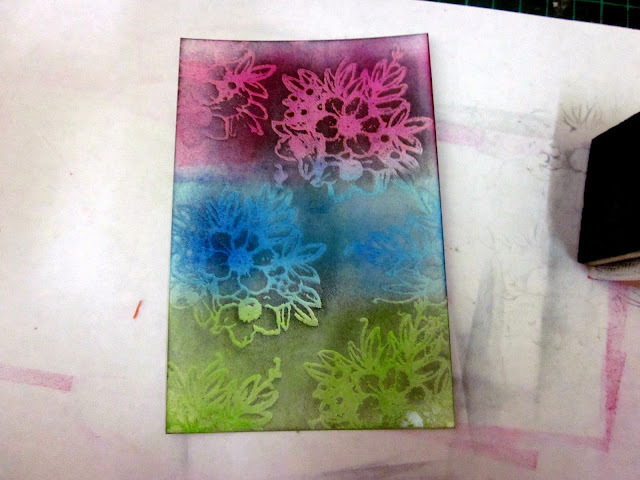 I am very excited to show you a fabulous technique in stamping.As Karuna pointed out recently that we all have indulged into crayons and various ways of using it....playing with crayons in our childhood.It is just an extension of that...but with inks. Here is my attempt at a picture tutorial.If you have any questions regarding this please feel free to ask. 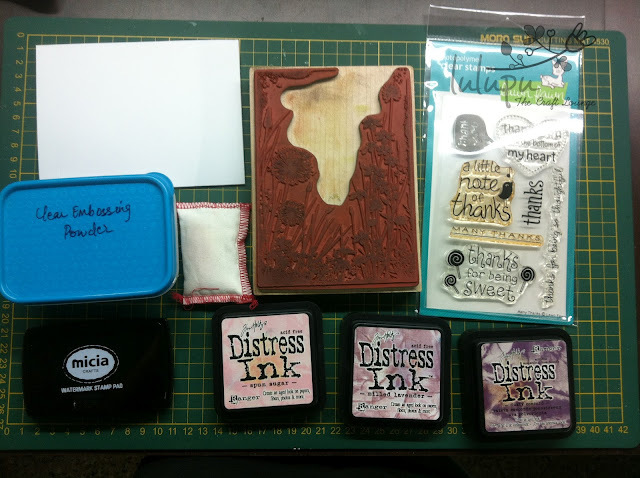 All the stuff required to carry out this technique.Glossy paper,Stamps,inks,clear embossing powder ,watermark stamp pad. 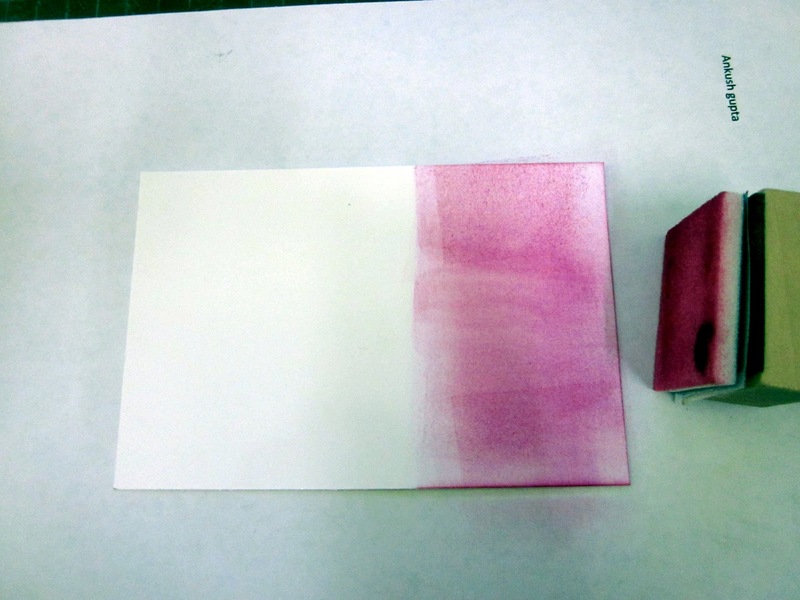 I used Micia Pink pigment ink as the first one to colour a part of the CS. Next I used blue ink to color some more part. The third part is green and now we are done with the base. 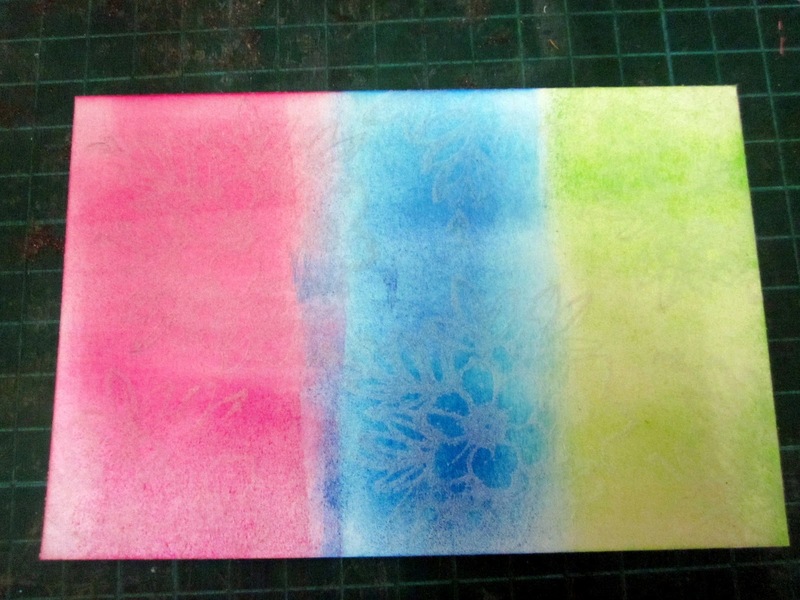 I used versamark watermark pad to stamp on the coloured base. 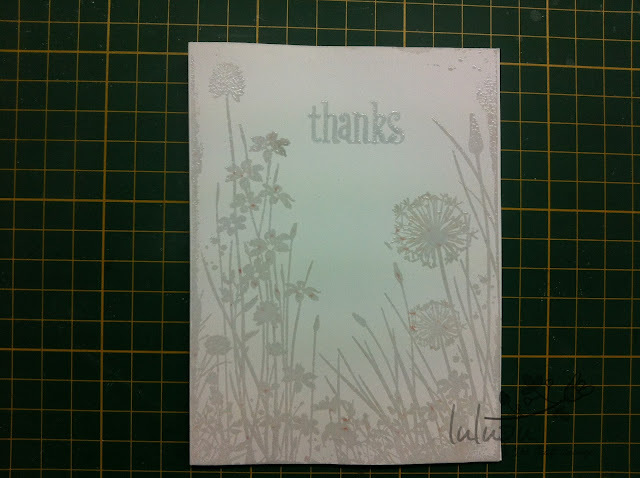 I used clear embossing powder to cover the entire surface. This is the magical part.Use black ink to evenly coat on the prepared CS.There will be at least three layers of black ink. 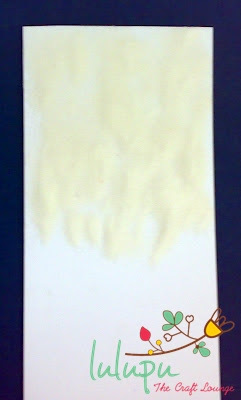 I used a wipe to wipe away the black from the stamped areas. This is how it looks finally. use it the way you want on your card.I used pink ink pad to stamp the image.fussy cut it and used it as an embellishment.Also used some washi tape. The insides.Stamped the flourish in pink and fussy cut it. Hope you find it clear and interesting enough to try out. Thanks for passing by and bearing with me. 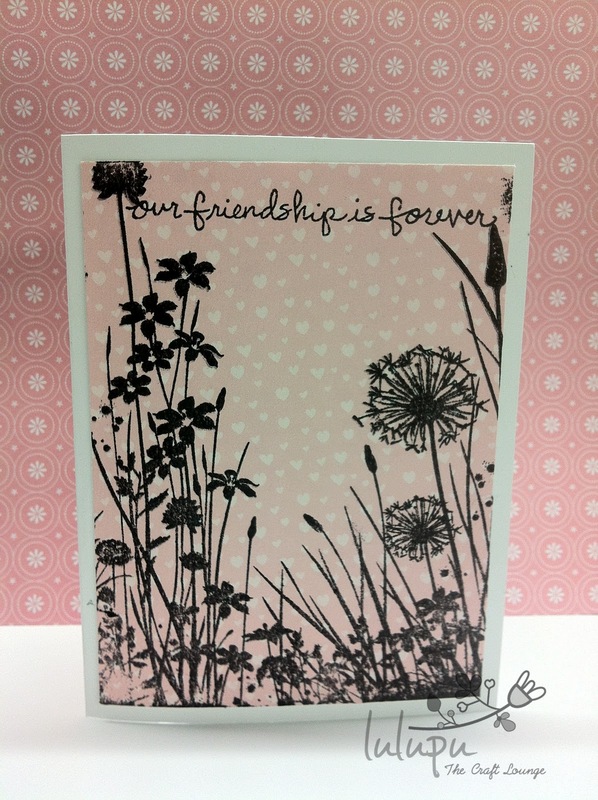 P.S.There is still some time for you to enter our current stamping challenge.You stand a chance to win a fabulous prize and have fun while stamping. 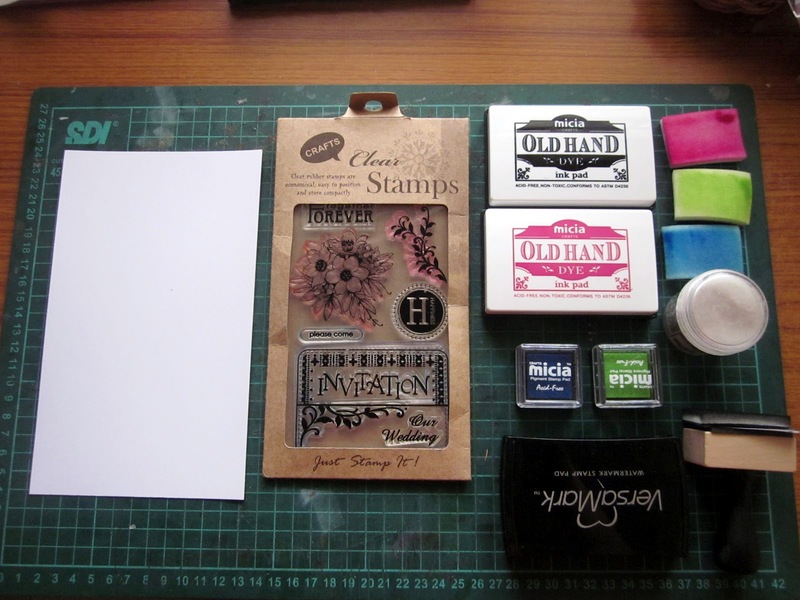 Have you ever wondered how to use those teeny tiny stamps that we get on clear stamps sets? 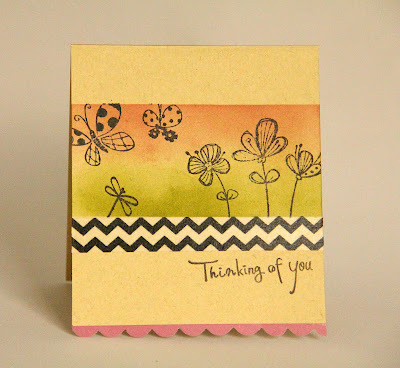 Well I have....here I show two ways you can use them and get more out of your stamp sets. I have used these two stamps from this Micia Clear Set. cut it out, distressed the edges and used it as the background of my card. Added some scrunched up Washi tape. 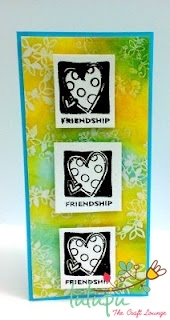 I used the rose stamp from the stamp set and stamped it repeated with black ink on patterned paper. I then fussy cut the flowers and added them to my card and added a printed sentiment to finish off my card. 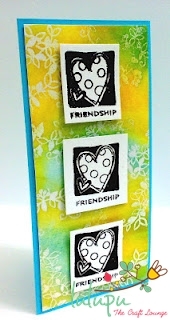 We would love to see how you put those tiny stamps to use.....what's more...you can link up your project to this month's stamping challenge and win a stamp set of your choice! Hurry the challenge ends in 4 days......go here for the details. 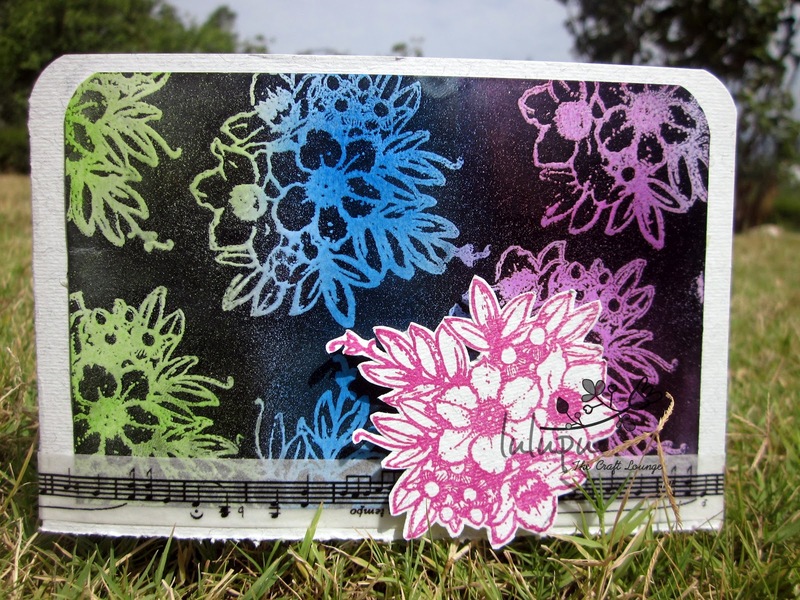 Since this is a background stamp, I used different stamping techniques to create cards. And once again, I have been so pressed for time that my life is on the brink of chaos, that I was once again unable to do a video! To top that, the nail on my thumb broke. I was so bummed. :P So anyway, I have a picture post today that does not feature my hands, but still gives you a pretty good idea of what I did. 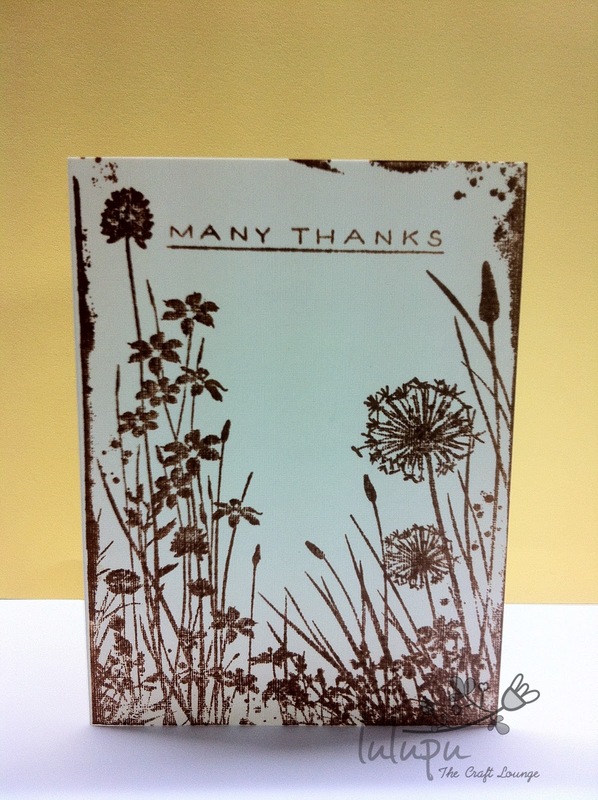 For this card, I simply stamped the image on to the card using the Brown Micia dye ink and stamped a sentiment. I was done with this card in literally less than 5 minutes. It's very very simple and easy on the eyes, yet there's something about this card that makes it seem full. Probably because the background takes up a whole lot of space on the card that doesn't make it feel empty. For this card I decided to create a silhouette on a distressed background. 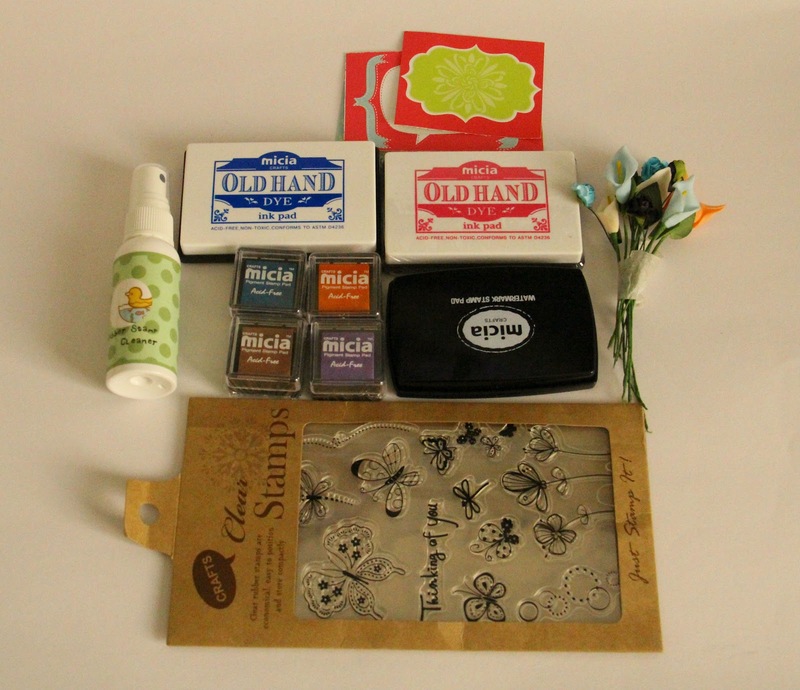 Here are the products I used for this card. 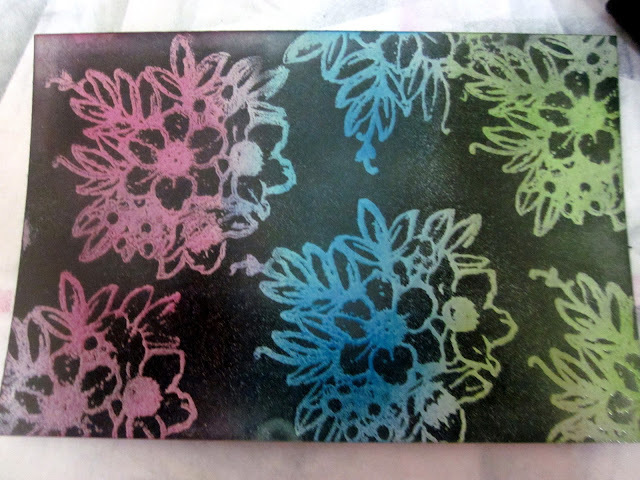 I first distressed the entire front of the card in Tumbled Glass and Broken China. Then I slowly placed my card on the stamp (as opposed to the stamp on the card because of the size of the stamp) and put a piece of scrap paper over it and ran my fingers all over the stamp, applying slight pressure to ensure that the ink transfers evenly onto the paper. 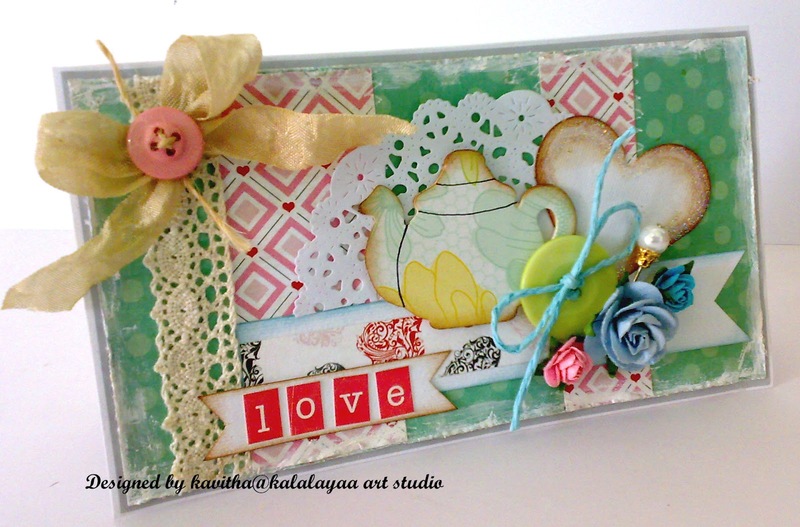 And voila, the card was done!! I could then add any sentiment I wanted! This is similar to the earlier card. 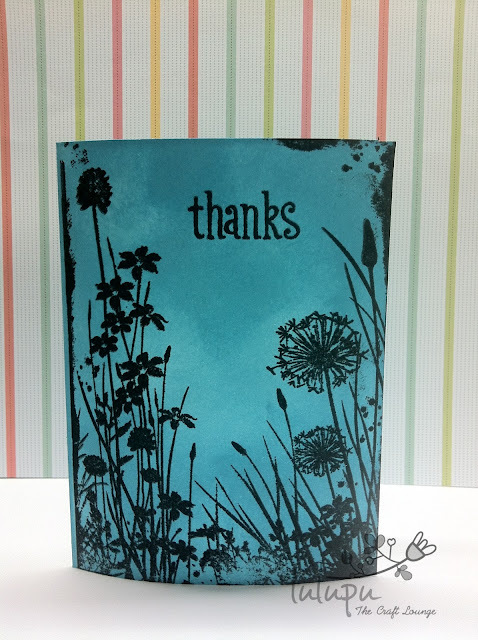 The only difference is that I tried the silhouette on patterned paper instead of directly on the card or a distressed background and that gives a whole another look to the card!! 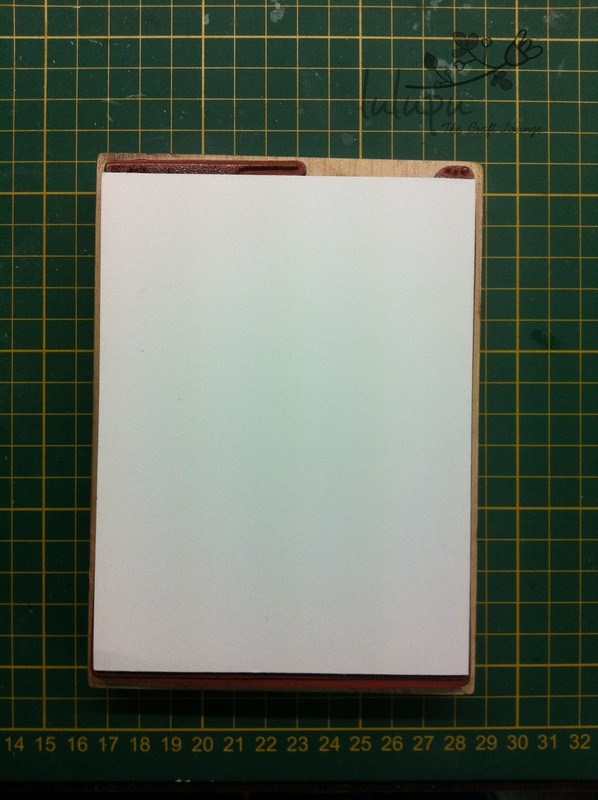 Now about the Micia Watermark ink pad. I used this today for the first time and I was using Versamark till now. But I was pleasantly surprised! 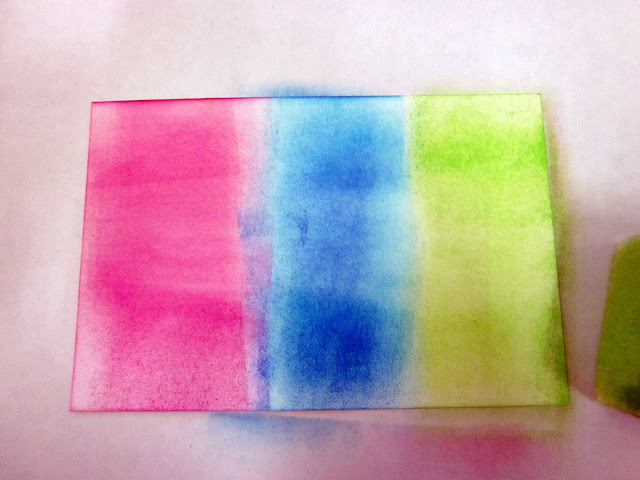 This ink pad is extremely sticky and stays that way for a long time giving you a large window to splatter your embossing powder on it. 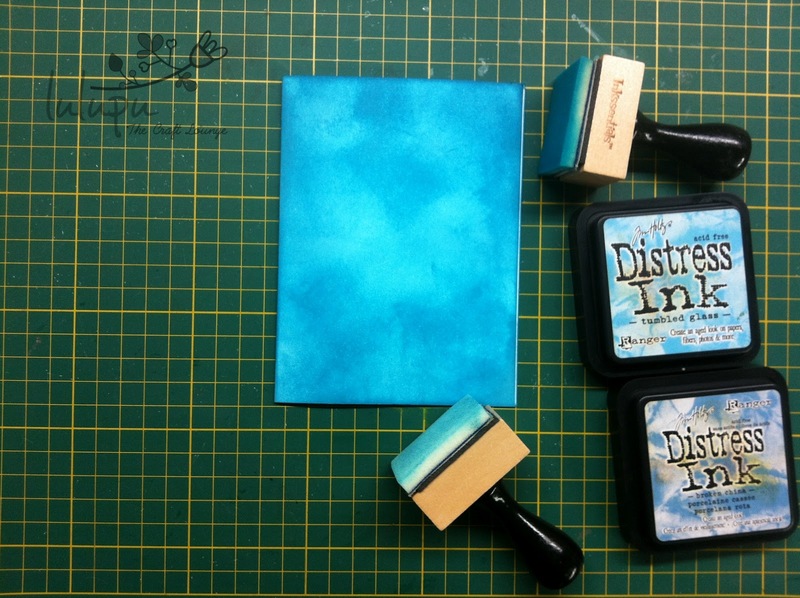 And the embossing powder sticks really well to the ink! I followed the same steps as before, the only difference being that I used the anti static pad on the card stock before I stamped and used the watermark ink instead of black. I then splattered Clear embossing powder on the card and used my heat tool to melt the powder. 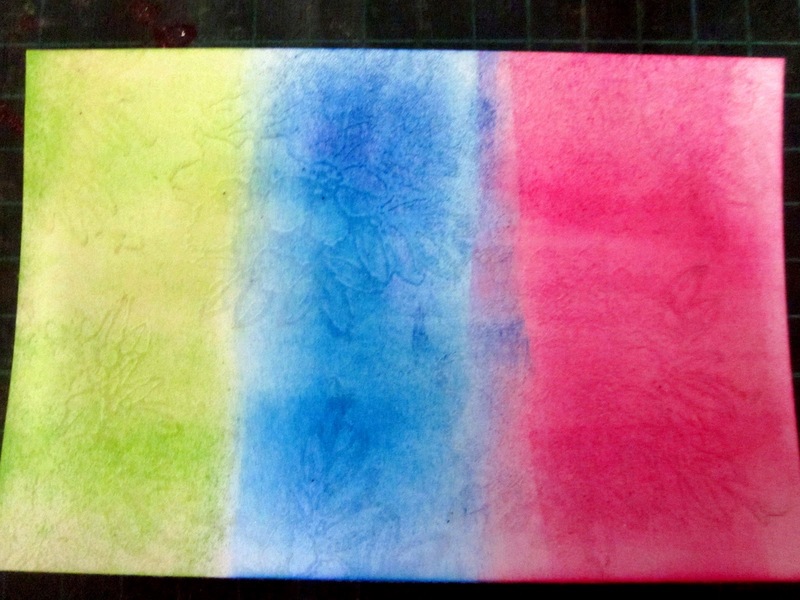 At this point, the card looked something like this..
After this, I distressed the entire front of the card with Spun Sugar, Milled Lavendar and Dusty Concord distress inks and the ink resisted the area that was embossed leaving it white! Here's the finished card. That's all folks!! 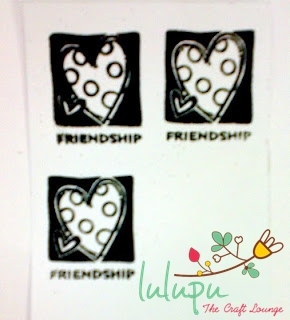 I hope you guys try this stamp out. Every technique gives a different feel to this card. Here's the list of products I used. A close-up of the colored image..
Shruti here and am back with yet another card to inspire you. 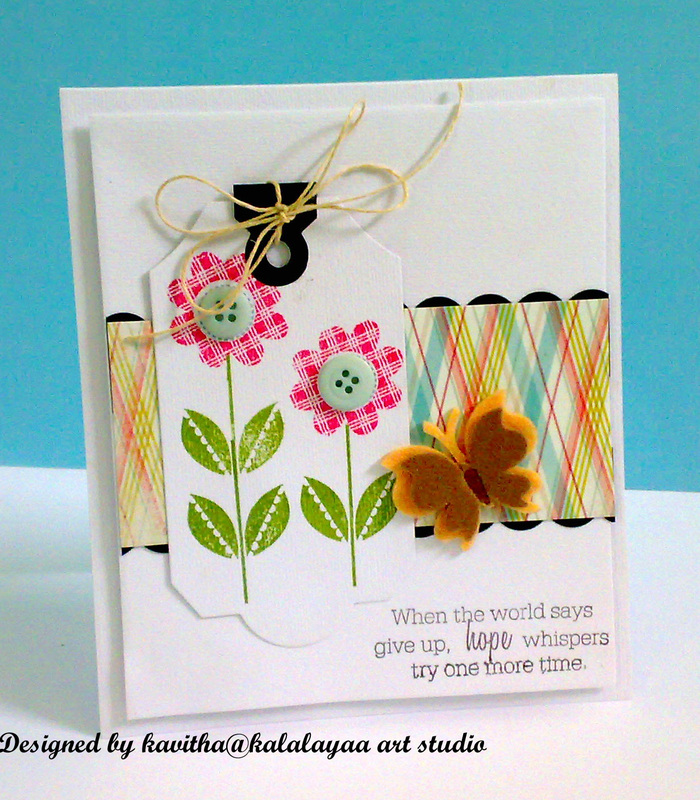 Since our challenge topic for the month of June is “Stamping”, I decided to come up with a card with a bit of stamping and masking techniques to inspire you guys. To know more about the challenge and to enter click the link below. Here are the some yum stuff I got from Lulupu, some of which I’ve already put to use in my card for today!! In the card I made today, I’ve used 3 techniques. 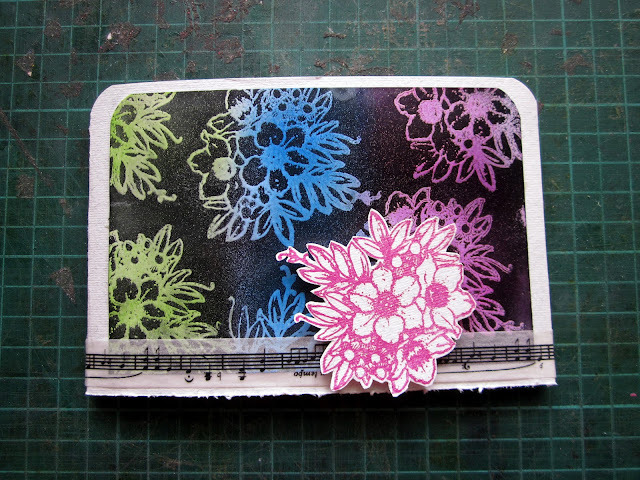 Masking, distressing and stamping! Mask the area u don’t want to distress with a masking tape. 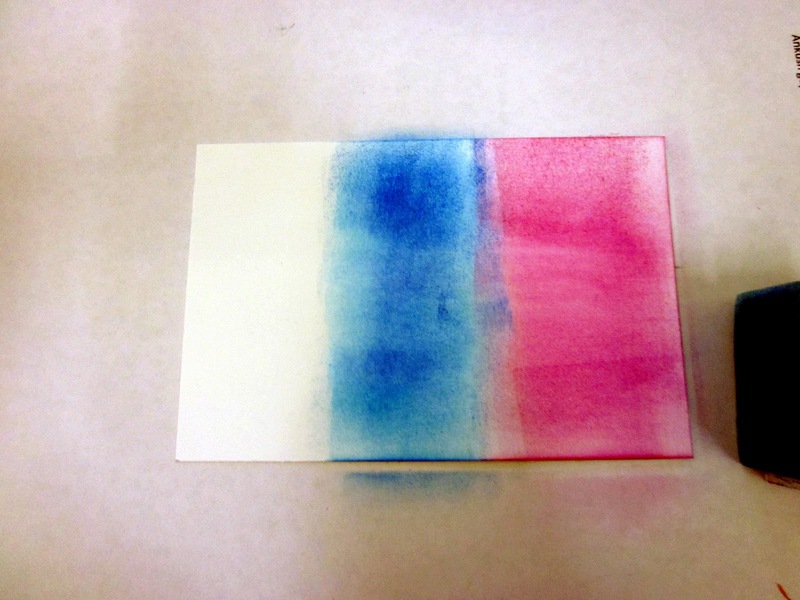 Now, you start blending two distress ink colors you’ve chosen with a blending foam. 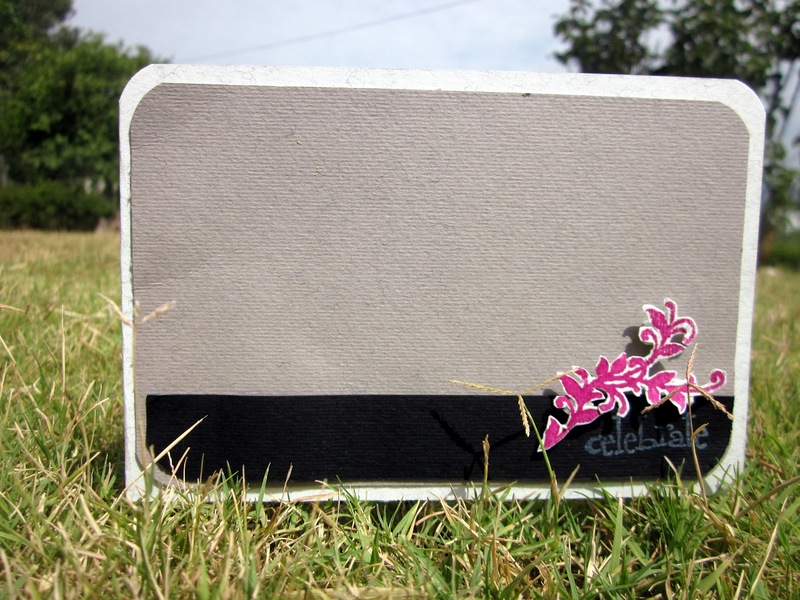 Once you’ve achieved your desired result, stamp the image with black ink. 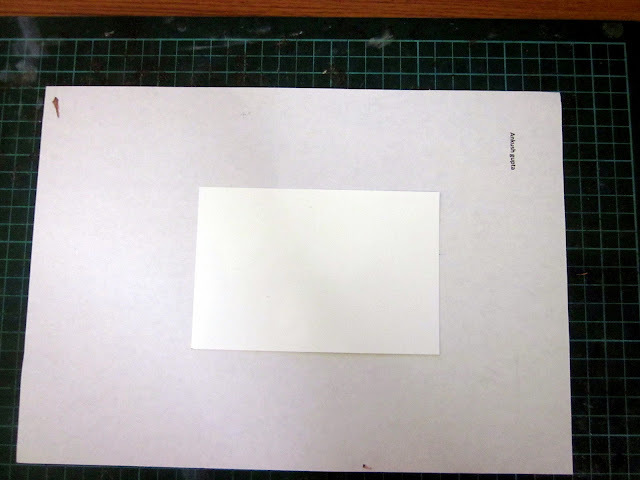 Now take off the masking tape and be ready to be amazed!! 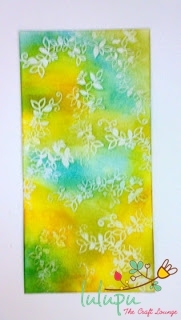 And of course, I’ve used my new super duper Washi tape! How pretty is that?! Do try it out as am sure you’ll have fun making it! I sure did. June is a whole new month here at Lulupu. Yes we started with our monthly Challenge - Hop HERE for this months Challenge on stamping. 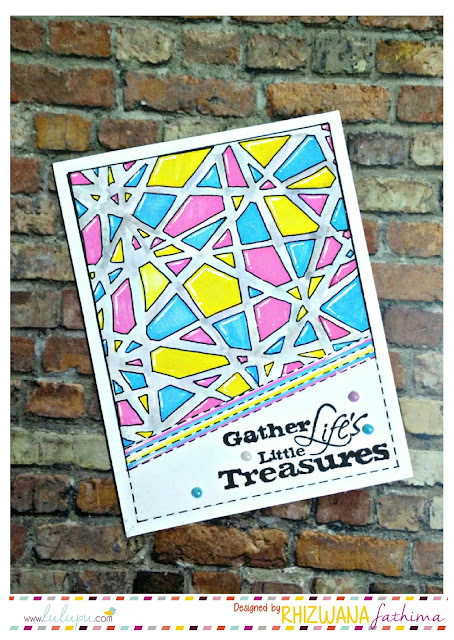 And to get you grooving we will have a Guest Design Post by some wonderful crafters out there on the 15th of every month. 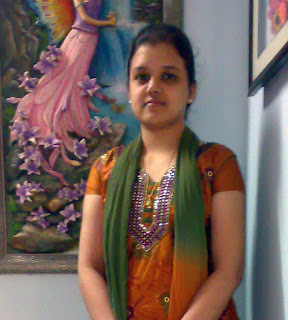 This month we want you to meet the lovely and super talented Kavitha from http://kalalayaa-artclub.blogspot.in/. As we are focusing on stamping techniques this month, I am here with a tutorial on the heat embossing technique. This is such a fun technique to use, and the end result is oh so colorful n fabulous :) So here is the picture of all the supplies that you need to make this beautiful,yet simple card. 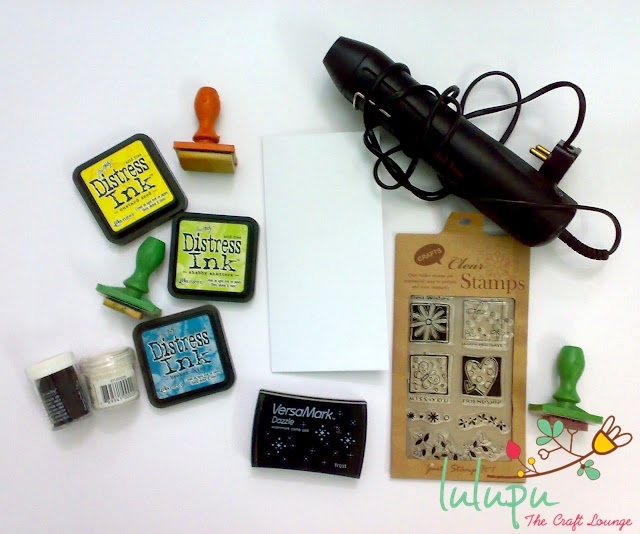 I have used the heat tool from Lulupu store, its an awesome and a must have tool for every crafter. It comes with 3pin plug, made for Indian voltage so you don't need to look for a voltage converter :) I am using this for past 6 months n have no issues,where as my imported one got burnt after my first use. Take the desired stamp (solid designs will be much better for this technique), mount it on the block and stamp it on the card stock with versa marker ink. Apply the clear embossing powder generously over the stamped image, covering the whole area. 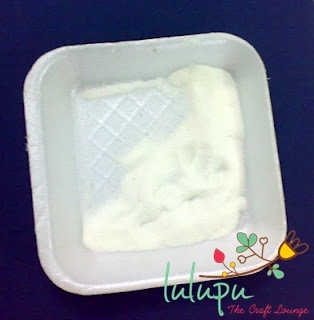 Now take a plate like this, hold the card stock inside the plate and tap the excess powder.In this way you can easily restore the remaining powder in its container. 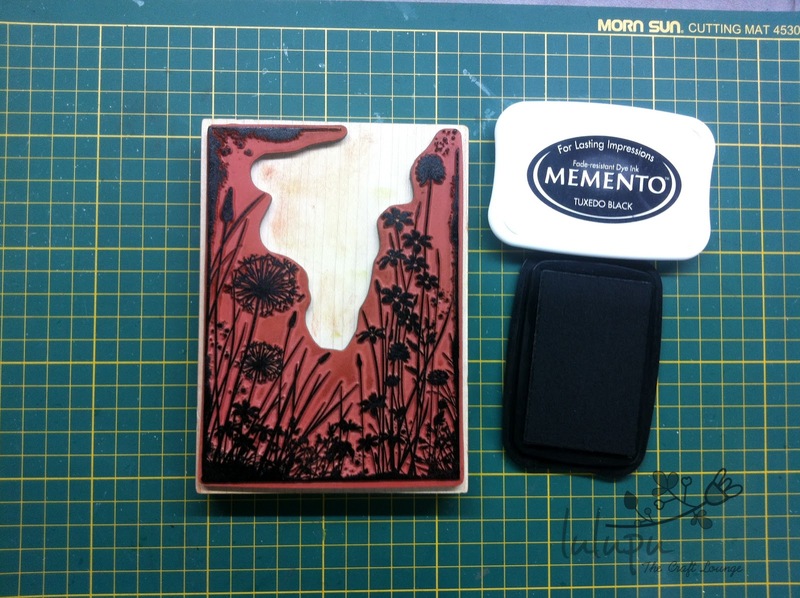 Now with the help of your heat tool, start embossing the stamped image. 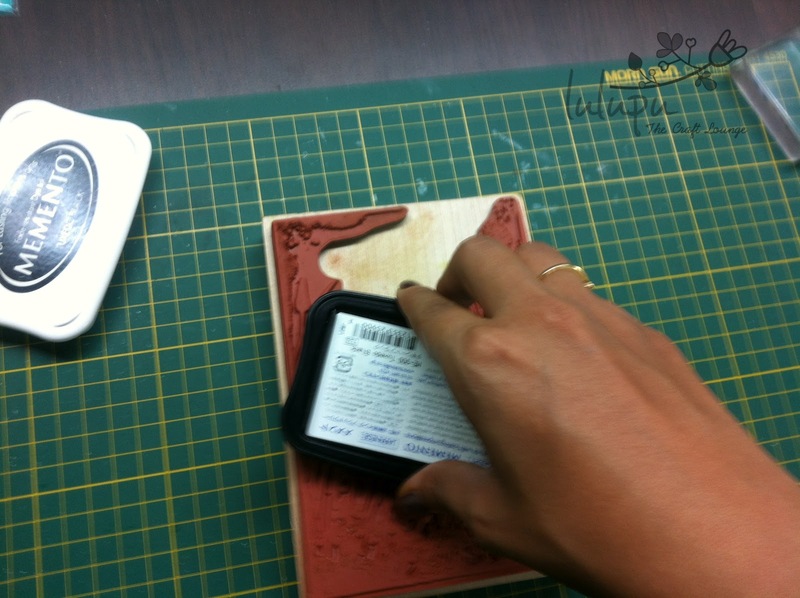 Hold the tool 2 inches away from your working surface, hold it upright and slowly start moving it from top to down. Once its embossed the image will turn from white to clear,this is the indication that it got embossed,then move on to the next area. 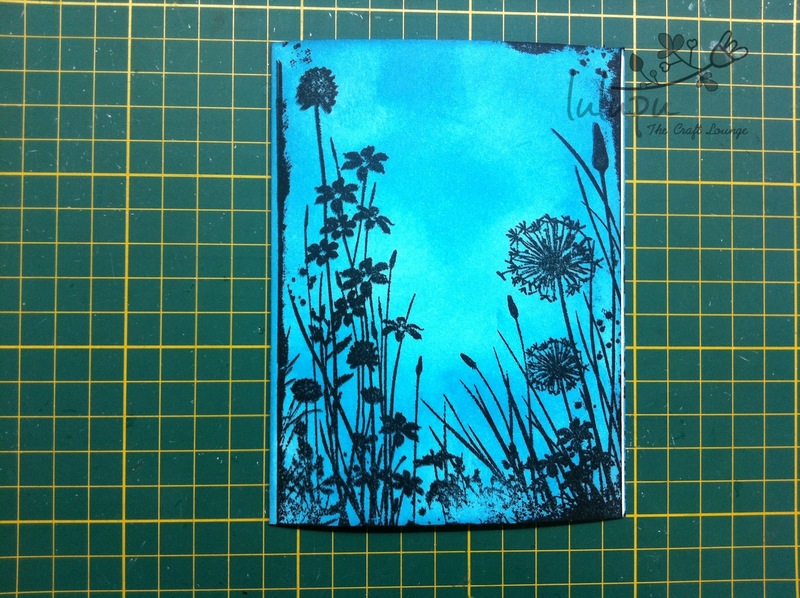 So here is my finished card, I have just mounted the stamped card onto fabriano blue card stock and mounted the main image with foam dots. I hope you liked my card. If you have any doubt, feel free to leave a comment. 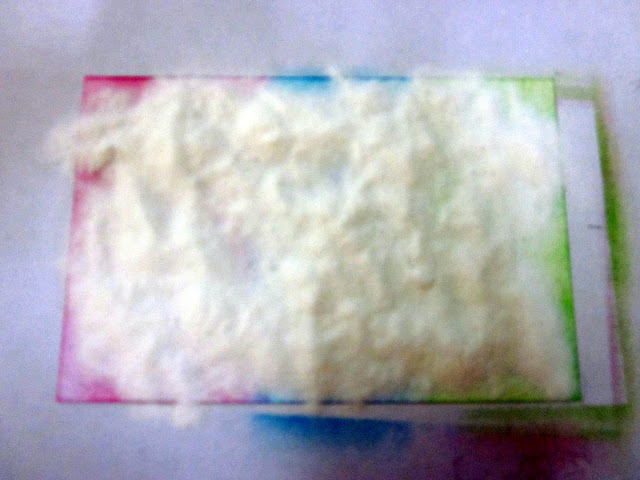 Never work under fan for this technique, if the ink dries out, the embossing powder will not stick to it. The more solid the stamp is the more pretty the result will be. While you do the heat embossing,your card stock will start bending,its absolutely fine..do not worry,allow it to cool for few mins and it will get back to its normal shape. When applying the ink, do not apply too much pressure while blending it, hold it light and apply the inks in the circular motion(clock wise and anti-clockwise),this will save you from getting patches. 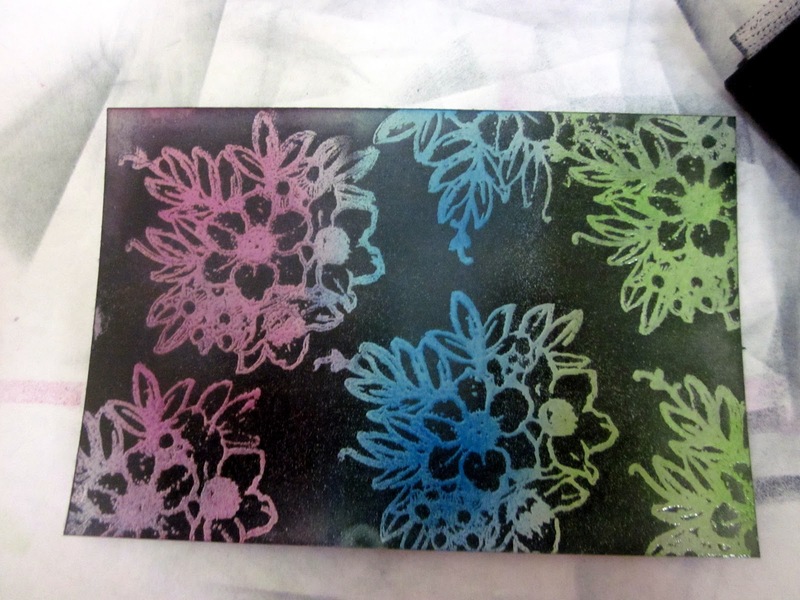 Clear and black embossing powders. 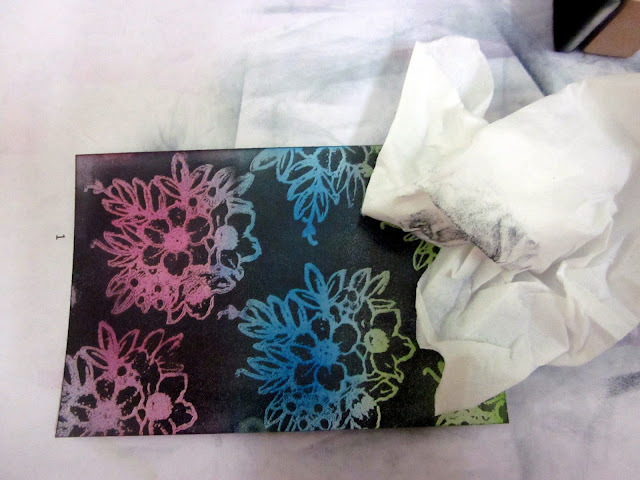 Today, I have something for you that's absolutely simple to make and has been made using just stamps and ink (okay, there's acrylic blocks, adhesive and scissors involved too, but you get the point) :P Can you believe it? 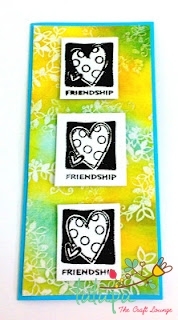 No patterned paper, no cuttlebug and dies, no embellishments... just STAMPS and INK!! Here are pictures of the stuff I got from Lulupu.. 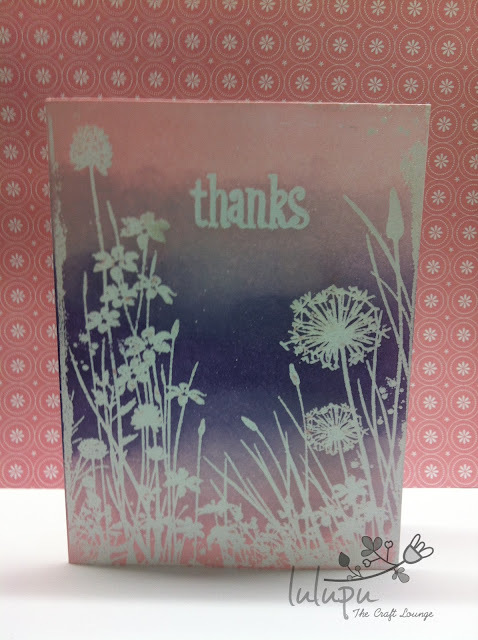 I used the stamp set that I got in my kit to create today's card. 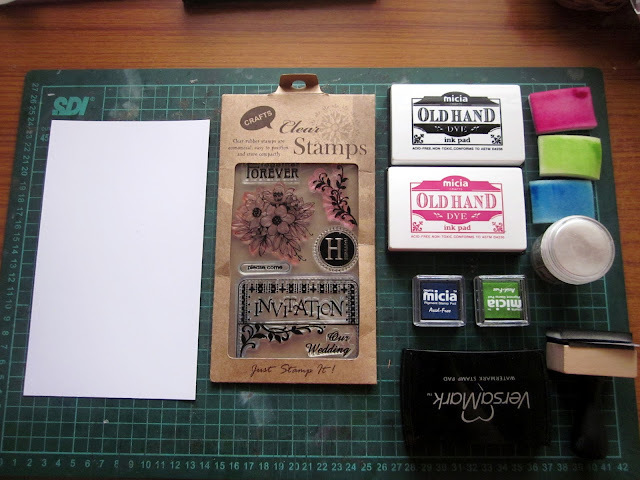 The kit did not have only stamps and inks.. There were loads of PPs and embellishments too. Coming back to the card I made, I decided to give Snehal's Rock 'n Roll technique a try. I created a background using the various butterfly stamps in the stamp sets stamping them haphazardly in different colours. I used Rock 'n Roll on the solid butterflies. 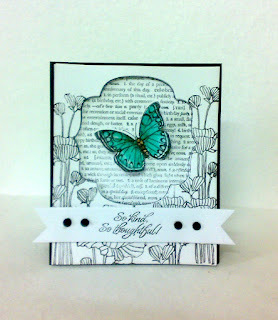 For the outline stamp of the butterfly, I first stamped it on the card stock, then stamped it on another piece of card stock, coloured it using distress inks and paper-pieced it on to the card, and ta-da... DONE! Take a look! I also realised that the dewdrop ink pads are best for Rock 'n Roll since they have the pointed tip that can help make very small impressions on the already inked stamp without covering the whole stamp with the darker ink. You can see how well this has turned out! 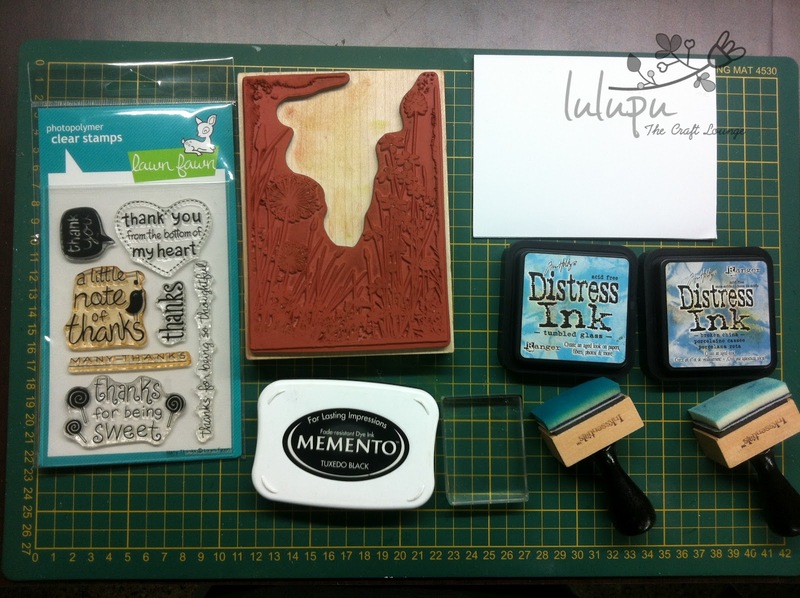 Here's the complete list of supplies..
Introduction to Stamping and a Challenge!